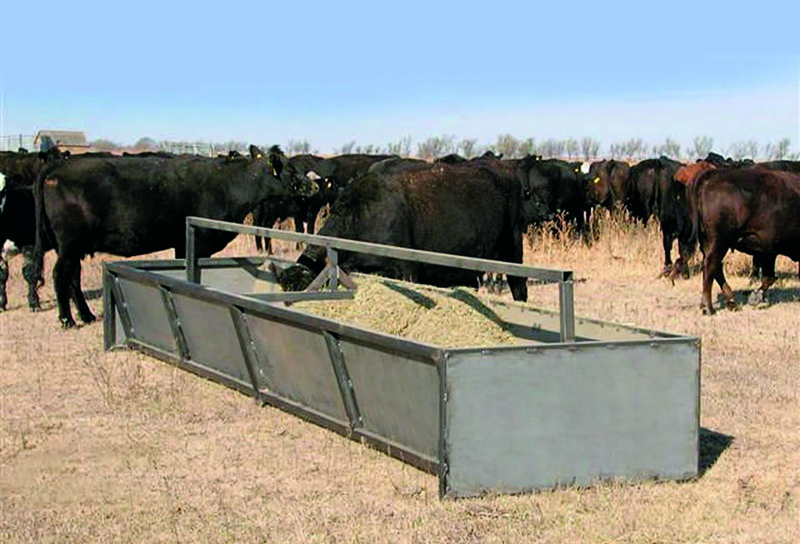 Like our other products, these feed bunk are very heavy duty. 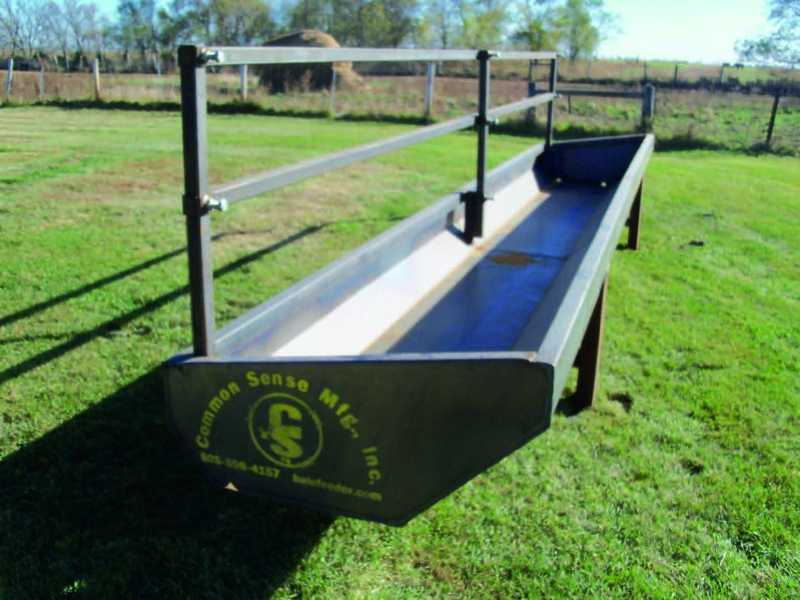 They also have a much larger capacity than most bunks and work great for high roughage rations and bale processors. The 3′ bunk works well with 600lb plus calves, sheep and other small animals. The 4′ bunk works well with cows, bulls and other large animals. Per SDSU recommendations, this bunk is rated for 18-20 head. Also best to have animals be at least 750lbs. Other lengths are available to fit your specific needs. You can move these bunks by grabbing them from the top with grapple forks. Since they are bottomless, when you lift them, they clean themselves out (no more shoveling). They are designed with a tapered toe kick to reduce aggression. Cross bars are also available to help prevent cows from being pushed into the bunk. Like our other bottomless feedbunks, these bunks are large capacity and have a tapered toe kick to reduce aggression in livestock. However, this version has 3 vertical bars and two horizontal bars that can each be individually adjusted to accommodate for different sized animals. The 4′ size bunk is for animals above 750 lbs. The 3′ bunk can be used for smaller animals. 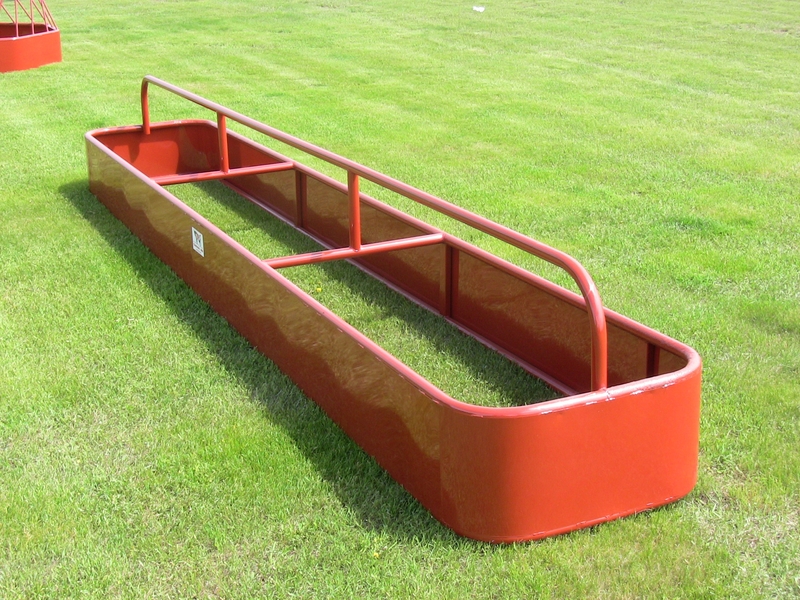 These pan feedbunks are made for either larger or smaller animals. Calves should be at least 650lbs for the 45″ feedbunk. Our pan feedbunks are designed with efficiency and convenience in mind with a 45 degree taper and lip formed inside the pan bunk to eliminate waste. The legs are welded on bottom of the bunk so that the sides are smooth, eliminating bruised shoulders on livestock and broken tractor steps. 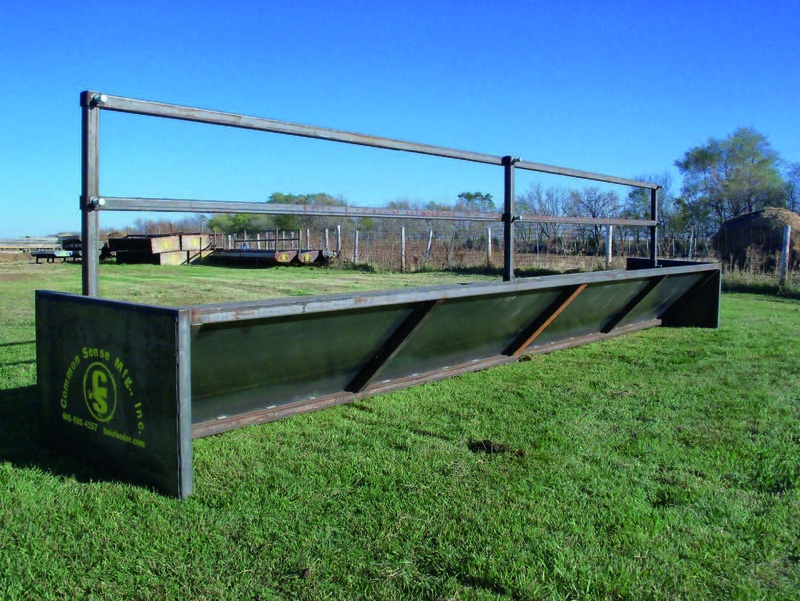 Fenceline versions of both the bottomless and pan bunks are available with adjustable vertical and horizontal bars, making them versatile for feeding both large and small animals. 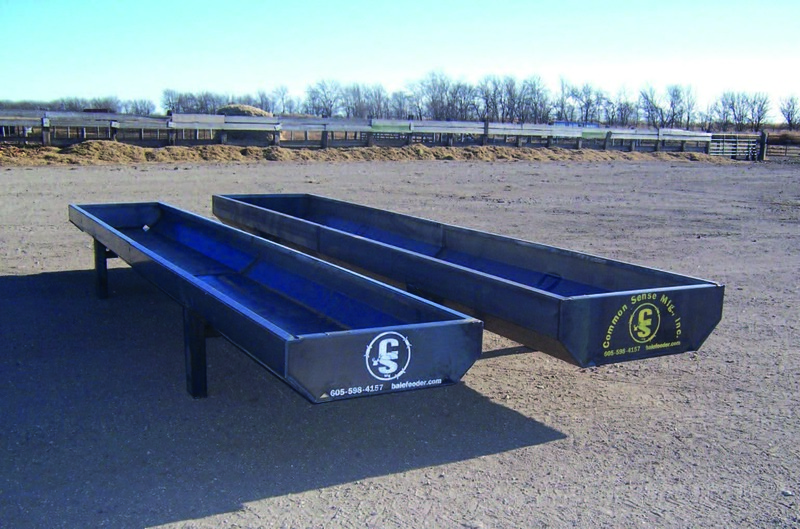 These pan feedbunks are designed with efficiency and convenience in mind. They have a 45 degree taper and lip formed inside the pan bunk to eliminate waste. The legs are welded on bottom of the feedbunk so that the sides are smooth, eliminating bruised shoulders on livestock and broken tractor steps. They come with adjustable vertical and horizontal bars, making them versatile for feeding both large and small animals.